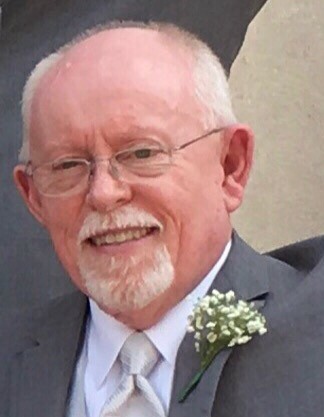 William “Bill” G. Edwards, 70, of Phenix City, AL passed away Friday, April 12, 2019 at the Columbus Hospice House in Columbus, GA.
A funeral service will be held 11:00 am EST Tuesday, April 16, 2019 at Vance Brooks Funeral Home in Phenix City, AL. Interment will follow at Lakeview Memory Gardens. The family will receive friends Monday evening from 6:00 to 8:00 pm EST at the funeral home. Bill was born May 9, 1948 in Phenix City, AL, son of the late Gordon Leroy Edwards and Elsie Lemerle Hill Edwards. He worked in real estate most of his career with the majority owning his own business, Edwards Appraisal Services. Bill proudly served his country in the United States National Guard. He was instrumental in starting the Soccer Program at Smiths Station High School. Bill enjoyed sports, the outdoors, gardening but above all he loved his family. He is survived by his loving wife Donna Shellhouse Edwards of Phenix City, AL; a daughter, Amy Edwards Morrison and husband Ricky of Phenix City, AL; two sons, Jim Edwards and wife Niki of Smiths Station, AL and Blake Edwards and wife Ashley of Phenix City, AL; grandchildren, Sloan, Erin, Trent, Greylin, Klein, Paxton and Ryder; a great-grandchild, Sawyer; other extended family and numerous caring friends. In lieu of flowers, please make donations to Columbus Hospice, 7020 Moon Road, Columbus, GA 31909.